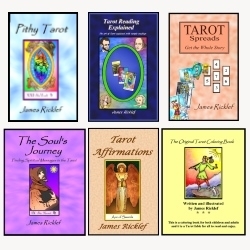 James Ricklef's Tarot Blog | Explore and learn about the Tarot … and yourself! The Tarot can empower you to create the future you want and transform your life by providing you with insights about yourself and the world around you. There are many ways to use Tarot cards beyond the well-known process of traditional readings. Here is a way to create a happier, more fulfilled life today using messages and advice from the King of Swords. This King symbolizes expertise, and he promises that everyone is an expert in something. Consequently, he urges us to find and trust our own inner sense of authority—the King of Swords that lives within each of us—and exercise it. Note that it’s that last part that is really important. If you are not acting upon something in which you have expertise, what does that say? Do you lack confidence in yourself? Are you not aware of your inner King of Swords? If so, might that not be a source of discontent in your life? First think of a fun subject or activity you know a great deal about, but you’ve not done much with that knowledge. (Remember: Everyone is an expert in something.) Then brainstorm a few suggestions for what you can do with that expertise. For example, if you are a great cook, maybe you would enjoy writing a blog about cooking. Or you can use YouTube or Pinterest to communicate your expertise. What follows are a couple of examples from my own life. The first one is a strict case of using my inner King of Swords, and the second is a looser example. This illustrates the latitude you have in doing this exercise. One: Accessing my Tarot expertise, I started writing this Tarot blog in 2010, and I now have about a couple thousand posts here! This has been a very fulfilling and rewarding thing to do. Try not to be so stubborn and set in your ways. This pithy meaning may be seen as a negative or reversed aspect of this card. The reason you are unhappy is because your spirit is wounded and needs to be healed. Your unhappiness is not your fault. It is not because you don’t deserve to be happy. It is not because you aren’t trying hard enough. It is not because you are not good enough, or strong enough, or attractive enough. It is because your spirit is wounded and you need to find a way to be healed. “The greatest gift you can give another person is the purity of your attention.” — Richard Moss. Instead of larger-than-life monsters, your enemies may be just flawed or wounded people. There are many ways to use Tarot cards beyond the well-known process of traditional readings. Here’s a way to create a happier, more fulfilled life today using messages and advice from the Queen of Swords. Nietzsche said, “That which doesn’t kill us makes us stronger,” but that statement seems more hopeful than inevitable. Hardship may present an opportunity to grow stronger and wiser, and indeed, motivational speakers like to say that every problem is an opportunity for growth, but we often don’t see things that way. It’s not easy to gain that perspective. In my discussion about the Queen of Swords in my book, The Soul’s Journey, I note that we can gain wisdom from our experiences if we choose to, even when there is loss and sorrow involved. However, if we don’t approach unfortunate circumstances with the proper attitude, the grief and sadness that arise from them will make us bitter rather than better. So how can we handle adverse circumstances better? In her book Happy for No Reason, Marci Shimoff lists three habits of exceptionally happy people, one of which is “Look for the Lesson and the Gift.” Shimoff says that the happiest people view their troubles differently than most of us. Instead of blaming, complaining, and bemoaning their fate, they ask themselves, What can I learn from this experience? What is the gift in it for me? Think of a painful experience, either a recent one or one from the past that still bothers you today. Consider how you view it. Do you resent someone for what happened? Do you blame any of your current problems on it? Or maybe it’s just a thorn in your side, something that comes to mind in a bothersome way now and then. Whatever the problem is, you can change how you deal with it and how you react to it. Start by making a list of positive perspectives of this situation that will help you deal with it in a productive way. For example, is there something you can learn from it? Is there a hidden blessing in it—a silver lining in the gray cloud of this experience? This may not be easy to do since we are used to responding in anger and complaint. But keep trying and you will find at least one positive perspective, and then maybe more will come to you as well. Your new perspective will change your feelings about this experience so that it will become less of a cause of unhappiness. Perhaps it will even lead you to a bit of happiness. Performing this exercise will begin to change you so that you will become better able to face any problems in a way that will make you stronger, wiser, and happier. And someday soon you will get to the point where you do actually see problems as opportunities. When faced with a choice, close your eyes, take a deep breath, and feel which option brings more lightness and openness into your soul.